The City of Wichita says it values open and transparent government. But the city’s record in providing information and records to citizens is poor, and there hasn’t been much improvement. While this is important and a blatant example, there are many things the city could do to improve transparency. Some are very simple. For example, it is very common for governmental agencies post their checkbooks on their websites. Sedgwick County does, as does the Wichita school district. But not the City of Wichita. Until a few years ago, Wichita could supply data of only limited utility. What was supplied to me was data in pdf form, and as images, not text. It would be difficult and beyond the capability of most citizens to translate the data to a useful format. Even if someone translated the reports to computer-readable format, I don’t think it would be very useful. This was a serious defect in the city’s transparency efforts. Now, if you ask the city for this data, you’ll receive data in an Excel spreadsheet. This is an improvement. But: You may be asked to pay for this data. The city says that someday it will make check register data available, but it has been promising that for many years. See Wichita check register for the data and details on the request. Another example: For several years, the Kansas city of Lawrence has published an economic development report letting citizens know about the activities of the city in this area. The most recent edition may be viewed here. The Lawrence report contains enough detail and length that an executive summary is provided. This report is the type of information that cities should be providing, but the City of Wichita does not do this. Example from the Lawrence report. Click for larger. 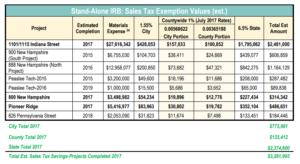 The city should implement this reporting even though the sales tax did not pass. 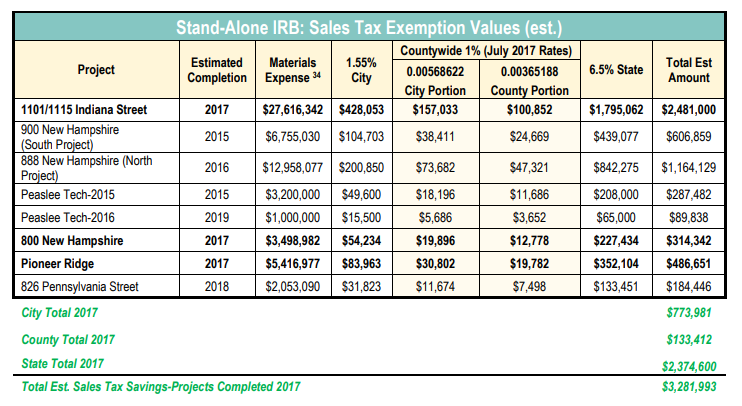 If it’s good for citizens to have this type of information if the sales tax had passed, it’s good for them to know in any circumstance, because the city (and other overlapping governmental jurisdictions) still spends a lot on economic development. Why is this information not available? Is the communications staff overwhelmed, with no time to provide this type of information? But if you want to know how the city spends economic development dollars, you won’t find that. It would be easy to improve the availability and utility of the city’s legal notices. When the city supplies doeuments in electronic form, also post them online. The city could require its tax-funded partners to disclose how they spend taxpayer money. 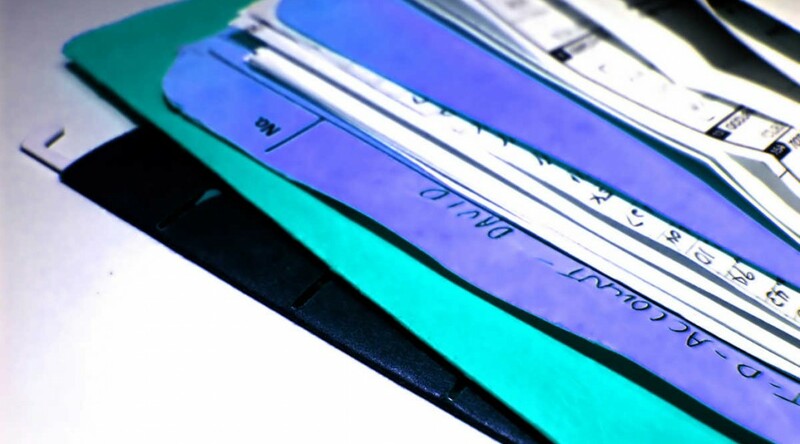 The city could stop creating taxpayer-funded entities to avoid open records laws. Hold social media town halls even if the city doesn’t like the questions. See A Wichita social media town hall. Most of all, the city simply needs to change its attitude. Here’s an example. 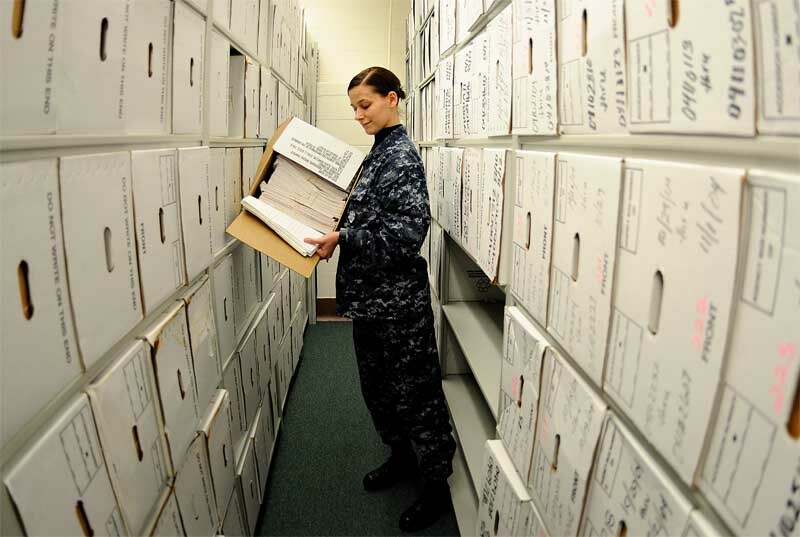 Citizen watchdogs need access to records and data. The City of Wichita, however, has created several not-for-profit organizations that are controlled by the city and largely funded by tax money. 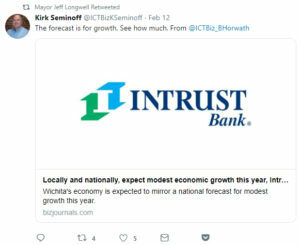 The three I am concerned with are the Wichita Downtown Development Corporation, Visit Wichita (the former Go Wichita Convention and Visitors Bureau), and Greater Wichita Economic Development Coalition, now the Greater Wichita Partnership. Each of these agencies refuses to comply with the Kansas Open Records Act, using the reasoning that they are not “public agencies” as defined in the Kansas law that’s designed to provide citizen access to records. The city backs this interpretation. When legislation was introduced to bring these agencies under the umbrella of the Kansas Open Records Act, cities — including Wichita — protested vigorously, and the legislation went nowhere. Recently the City of Wichita added a new tax to hotel bills that may generate $3 million per year for the convention and visitors bureau to spend. Unless the city changes its attitude towards citizens’ right to know, this money will be spent in secret. I’m fairly well acquainted with Bob Weeks, our extraconservative government watchdog. It’s fair to say that I agree with Weeks no more than one time in every 20 issues. But that one time is crucial to our democracy. Weeks is dead-on target when he says that conducting the public’s business in secret causes citizens to lose respect for government officials and corrupts the process of democracy (“TIF public hearing was bait and switch,” Dec. 5 Opinion). And that’s what happened when significant 11th-hour changes to the already controversial and questionable tax-increment financing plan for the downtown arena neighborhood were sneaked onto the Wichita City Council’s Tuesday agenda, essentially under cover of Monday evening’s darkness. This may not have been a technical violation of the Kansas Open Meetings Act, but it was an aggravated assault on its spirit. Among other transgressions, we had a mockery of the public hearing process rather than an open and transparent discussion of a contentious public issue. The Wichita officials involved should publicly apologize, and the issue should be reopened. And this time, the public should be properly notified. I don’t think things have improved. 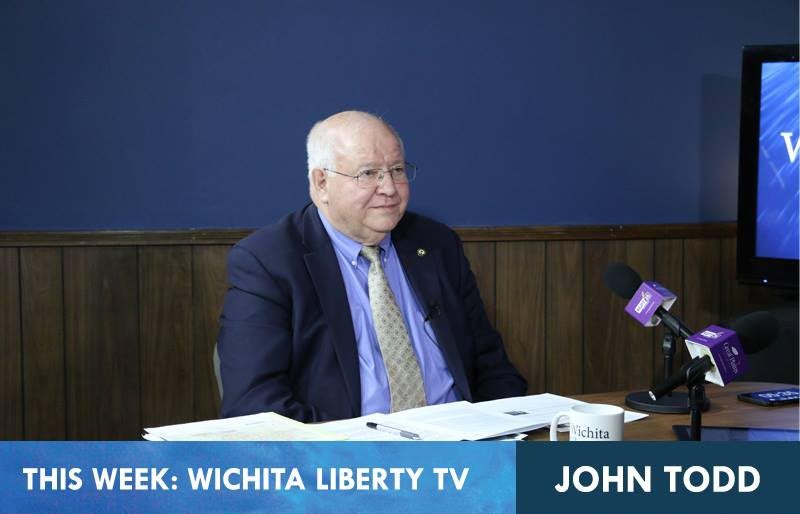 In this episode of WichitaLiberty.TV: Sedgwick County Commissioner Richard Ranzau explains the current problems with corruption in the county. Then, Renee Duxler tells us why she’s running for Sedgwick County Commission. View below, or click here to view at YouTube. Episode 215, broadcast October 28, 2018. This was recorded September 7, 2018. Election Day is Tuesday November 6, 2018. The last day to register to vote is October 16. In district 1, the candidates are Republican Pete Meitzner (campaign website peforsedgwickcounty.com) and Democrat Renee Duxler (www.reneeduxler.com). A map of the district is here. 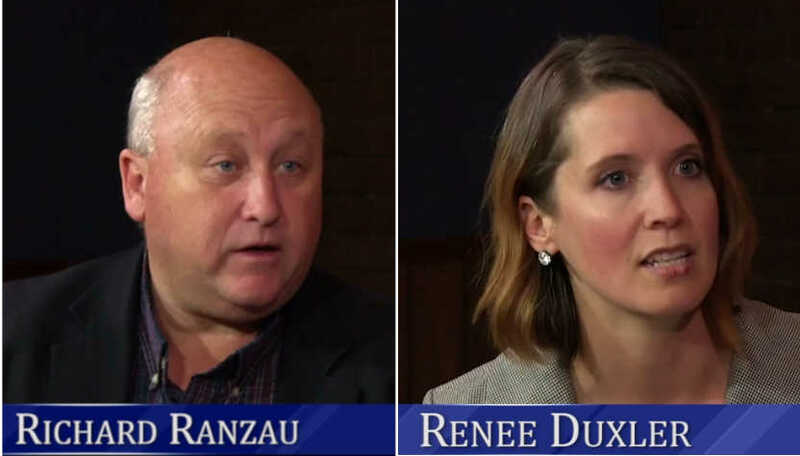 In district 4, the candidates are the Republican incumbent Richard Ranzau (www.voteranzau.org) and Democrat Lacey Cruse (www.laceycruse.com). A map of the district is here. In district 5, the candidates are the Republican incumbent Jim Howell (comhowell.com) and independent Jim Skelton (www.votejimskelton.com). A map of the district is here. A lawsuit claims that when the City of Wichita refinanced its special assessment bonds, it should have passed on the savings to the affected taxpayers, and it did not do that. 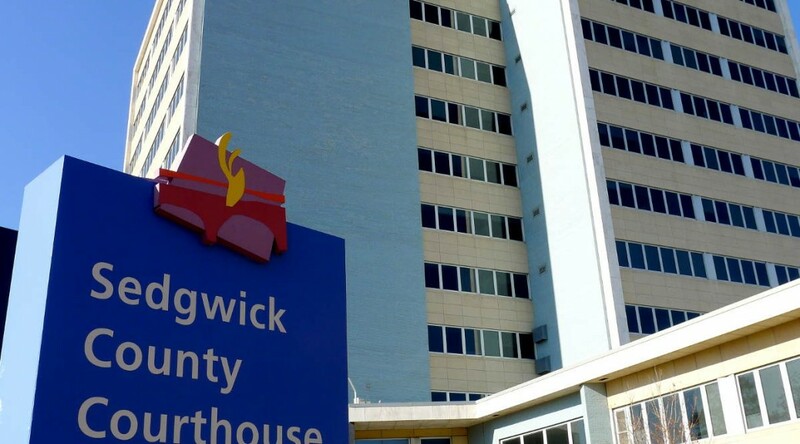 A lawsuit filed in Sedgwick County District Court charges that the City of Wichita improperly handled the savings realized when it refinanced special assessment bonds at a lower interest rate. The case is 2018-CV-001567-CF, filed on July 13, 2018, and available here. The suit asks for a class to be created consisting of “all other affected land owners paying excess special assessments,” which would, undoubtedly, be many thousands of land owners. No specific amount of relief is requested. The city borrows money by issuing bonds to fund improvements to (generally) new neighborhoods. These bonds pay for things like residential streets, water pipes, and sewer lines. The debt service for these bonds, that is, the money needed to make the bond payments, is charged to benefitting property owners in the form of special assessment taxes, often called “specials.” These specials are separate from the general property taxes that are charged to all property. These specials usually last 15 years, and after paid, no longer appear on a property’s tax bill. Sometimes special assessments are prepaid. During the last decade, interest rates on long-term bonds generally fell. In response, the city issued refunding bonds. These bonds took advantage of low interest rates by paying off old bonds that had higher interest rates, replacing them with bonds with lower interest rates. The lawsuit alleges that since 2009, the city has issued $216 million in refunding bonds saving $60.2 million, according to city documents cited in the lawsuit. The suit does not specify how much of this savings is attributed to special assessment bonds. So the city refinanced special assessment debt at a lower rate, reducing the cost of the debt. That’s good. Homeowners often do this when mortgage rates are low, and it’s good that the city does this too. The problem, according to the lawsuit, is that some of the refinanced debt was special assessment debt. The lawsuit contends that, based on Kansas law, the city should have passed on the savings to the property owners that were paying off this special assessment debt. Instead, says the suit, “the City of Wichita transferred the excess special assessment money paid by affected Wichita taxpayers to support its general fund and/or other municipal funds.” In other words, the city spent the savings on other things, when it should have directed the savings to land owners who were paying the special taxes. 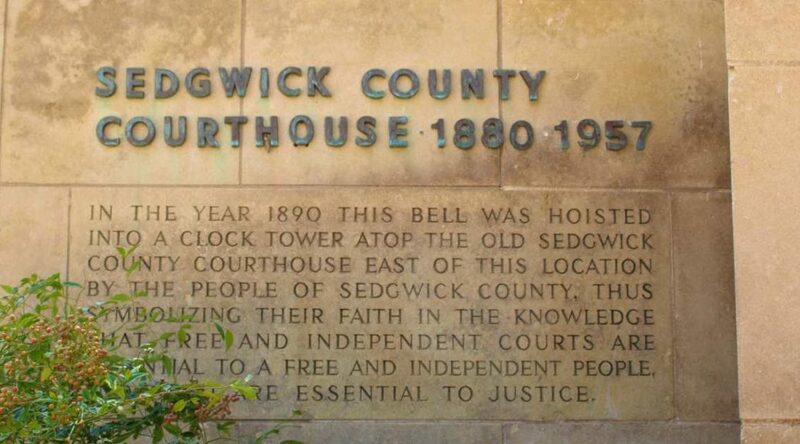 The fraudulent actions of Defendant City of Wichita, along with the other Wichita Defendants, and Defendants Springsted, Gilmore and Bell and Kutak Rock resulted in the misappropriation of millions of dollars of “saved” tax payments that should have been returned to Plaintiffs along with all other affected land owners paying special assessments levied under the General Improvement and Assessment Laws of the State of Kansas. Because the Wichita Defendants actively participated in the fraud practiced by Defendant City of Wichita, they cannot escape personal liability for the fraudulent actions of the City of Wichita upon Plaintiffs and all other affected land owners paying special assessments. While there is one named party as plaintiff, the suit alleges that all similarly situated persons have been harmed, and so a class action is appropriate. That would be all property owners who have paid special assessment taxes to Wichita since 2009, including myself. Is the pursuit of intergovernmental grants wise? An eariler version of this article failed to distinguish Jim Howell’s position from the majority of candidates. I regret the error. At a forum of candidates for Sedgwick County Commission, the subject of intergovernmental grants was discussed. All candidates except for current commissioners Richard Ranzau and Jim Howell were fully in favor — enthusiastic, even — of the grant system. Both Ranzau and Howell expressed skepticism of the wisdom and efficacy of the grant system. Other candidates participating in the forum had several justifications for accepting intergovernmental grants: It’s our tax money we sent to Washington or Topeka, it’s foolish not to try to get back our tax money, the grants are already funded, the money will simply go somewhere else. There are a few problems with these lines of reasoning. First, the grants are not “already paid for.” Since the federal government runs a deficit, we’re not paying the entire cost of government. To say that some things (program A, B, and C) are paid for, and other things (programs D, E, and F) are not paid for, is making artificial distinctions that can’t be justified. But deficit spending (on grants or other things) makes sense to politicians who want to deliver more government services than are being paid for by current levels of taxation. Federal and state grants make sense to local politicians and bureaucrats who want to be able to say they “won” federal or state dollars, so that the county or city can spend at no one’s cost. That’s how grant money is often characterized: Spending at no one’s cost. But politicians and bureaucrats across the nation make the same argument. We all wind up spending money at no one’s cost, so they say. Then: We must “try to get back our tax money.” This highlights another absurdity of government grants. We pay taxes, and then hope that we win the competition to get back our money. Who developed this system? Again, politicians like to boast they “won” grant funding that has no cost. Bureaucrats thrive on the jobs and power that grants provide, both locally and at the state and federal levels. Someone has to collect the taxes, write the applications for grants, evaluate the applications, administer the grant money at the state or federal level, administer the grant money at the local level, write reports on how the grant money is spent, and then someone has to read the reports. This creates a lot of jobs for bureaucrats. It also costs a lot, which is a deadweight cost, that is, costs that provide no benefit. Finally: There is evidence that intergovernmental grants accepted today result in higher taxes tomorrow. Worse, this is for spending that local governments might not choose if local government bore the entire cost. But after the grant ends and after a constituency is created, it’s difficult to stop the spending. Following, from 2013, a presentation of research on grants and future taxation. Is this true? Do federal grants cause state and/or local tax increases in the future after the government grant ends? Economists Russell S. Sobel and George R. Crowley have examined the evidence, and they find the answer is yes. The research paper is titled Do Intergovernmental Grants Create Ratchets in State and Local Taxes? Testing the Friedman-Sanford Hypothesis. The difference between this research and most other is that Sobel and Crowley look at the impact of federal grants on state and local tax policy in future periods. Our results clearly demonstrate that grant funding to state and local governments results in higher own source revenue and taxes in the future to support the programs initiated with the federal grant monies. Our results are consistent with Friedman’s quote regarding the permanence of temporary government programs started through grant funding, as well as South Carolina Governor Mark Sanford’s reasoning for trying to deny some federal stimulus monies for his state due to the future tax implications. 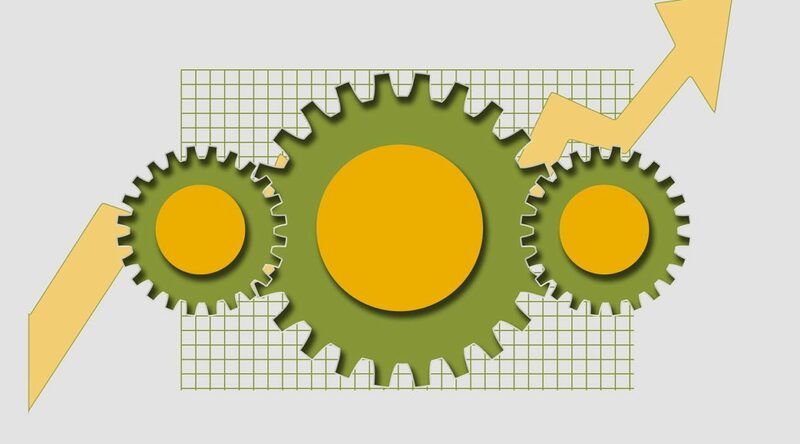 Most importantly, our results suggest that the recent large increase in federal grants to state and local governments that has occurred as part of the American Recovery and Reinvestment Act (ARRA) will have significant future tax implications at the state and local level as these governments raise revenue to continue these newly funded programs into the future. Federal grants to state and local governments have risen from $461 billion in 2008 to $654 billion in 2010. Based on our estimates, future state taxes will rise by between 33 and 42 cents for every dollar in federal grants states received today, while local revenues will rise by between 23 and 46 cents for every dollar in federal (or state) grants received today. Using our estimates, this increase of $200 billion in federal grants will eventually result in roughly $80 billion in future state and local tax and own source revenue increases. This suggests the true cost of fiscal stimulus is underestimated when the costs of future state and local tax increases are overlooked. So: Not only are we taxed to pay for the cost of funding federal and state grants, the units of government that receive grants are very likely to raise their own levels of taxation in response to the receipt of the grants. This is a cycle of ever-expanding government that needs to end, and right now. An introduction to the paper is Do Intergovernmental Grants Create Ratchets in State and Local Taxes?. 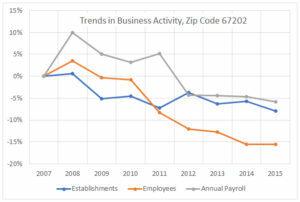 Wichita continues to decline in economic vitality, compared to other areas. NewGeography.com is a joint venture of Joel Kotkin and Praxis Strategy Group. Its annual “Best Cities for Jobs” project ranks metropolitan areas according to growth in employment. Of 422 metropolitan areas considered, Wichita ranked 383, dropping 28 spots since the previous year. Among 100 medium size metropolitan areas, Wichita ranked 93, dropping 5 spots from the previous year. 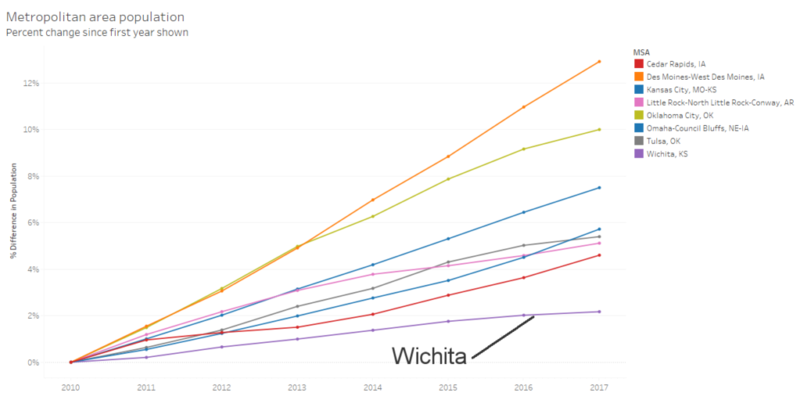 In the analysis for 2017, Wichita had also fallen in ranking. Given all this, it ought to be easy to find economic data supporting momentum, progress, and growth. Besides the NewGeography.com report cited above, let’s look at some other indicators. Population. In 2000 Wichita was the 80th largest metropolitan area. In 2017 its ranking had fallen to 89. 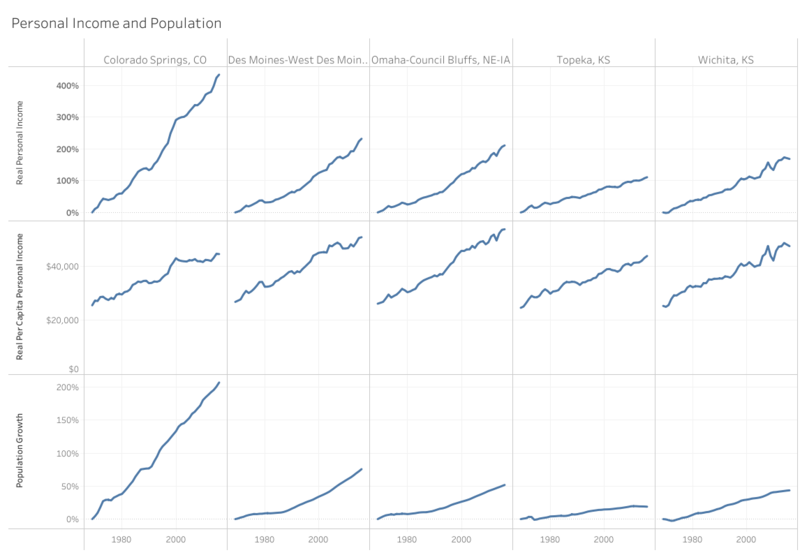 See Wichita metropolitan area population in context for more on this topic. 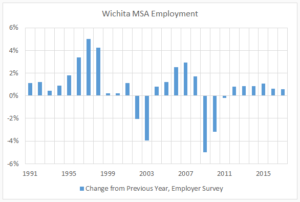 Is Wichita’s declining unemployment rate good news, or a byproduct of something else? The unemployment rate is the ratio of the number of unemployed persons to the labor force. While the number of unemployed persons fell, so too did the labor force. It declined by 3,367 persons over the year, while the number of unemployed persons fell by 1,056. This produces a lower unemployment rate, but a shrinking labor force is not the sign of a healthy economy. 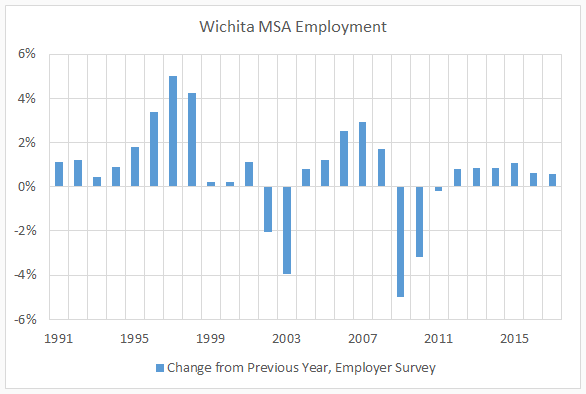 A further indication of the health of the Wichita-area economy is the number of nonfarm jobs. This number declined by 1,200 from March 2017 to March 2018, a decline of 0.4 percent. This follows a decline of 0.7 percent from February 2017 to February 2018. 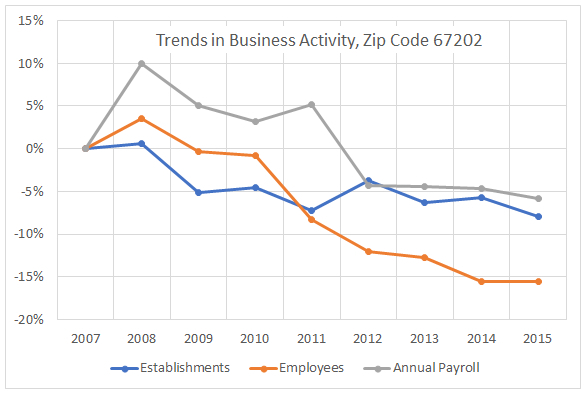 Of the metropolitan areas in the United States, BLS reports that 308 had over-the-year increases in nonfarm payroll employment, 72 (including Wichita) had decreases, and 8 had no change. While GDP figures aren’t available, jobs numbers are. 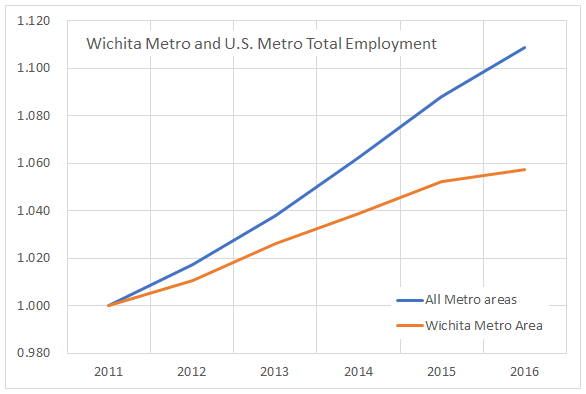 For the year 2016, total nonfarm employment in the Wichita metropolitan area grew by 0.62 percent. For 2017, the growth rate was 0.56 percent — a slowdown in the rate of job growth. These job growth figures are far below the rate for the nation, which were 1.79 and 1.58 percent respectively. The failure of the Wichita-area economy to thrive is a tragedy. This is compounded by Wichita leaders failing to acknowledge this, at least publicly. While we expect people like the mayor, council members, and the chamber of commerce to be cheerleaders for our city, we must wonder: Do these people know the economic statistics, or do they choose to ignore or disbelieve them? 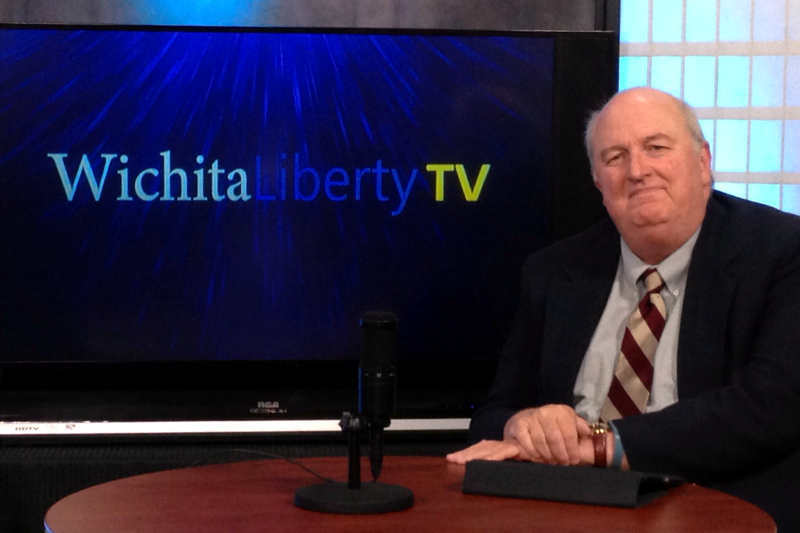 In this episode of WichitaLiberty.TV: New outlets for news, and criticism of the existing. Is Kansas government “hollowed out?” Ideology and pragmatism. View below, or click here to view at YouTube. Episode 124, broadcast July 17, 2016. Comments by two Wichita city council members give citizens more reasons to be cynical and distrusting of politicians. 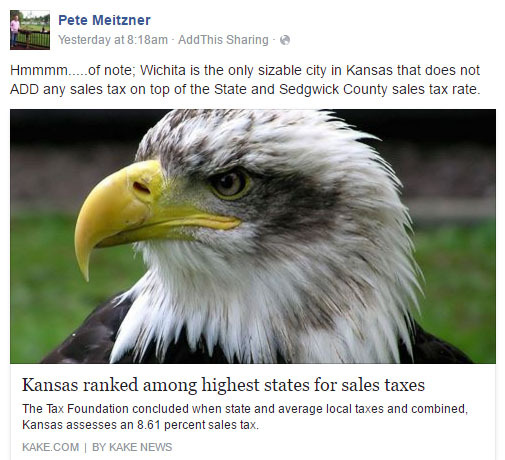 I wonder: If the Wichita city sales tax had passed, would Meitzner and Clendenin feel the same way? The answer is “No.” If the sales tax had passed, I believe Wichita city council members Pete Meitzner and James Clendenin would be congratulating themselves on the wisdom and foresight that led them to allow Wichitans to vote on the tax. They would be boasting of their ability to gauge the sentiment of public opinion. They would be proud of the investment they are making in Wichita’s future. That’s important to remember. 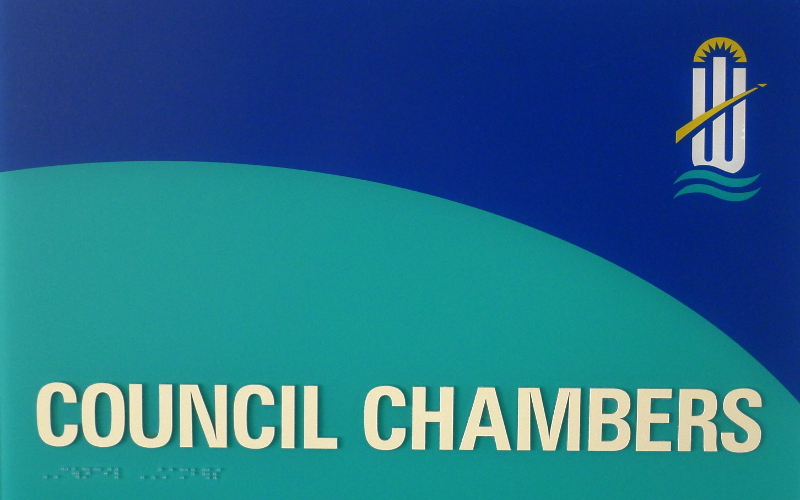 The city council, at its initiative, decided to place the sales tax on the ballot. Why would the council do this if it did not believe the tax was a good thing for the city? 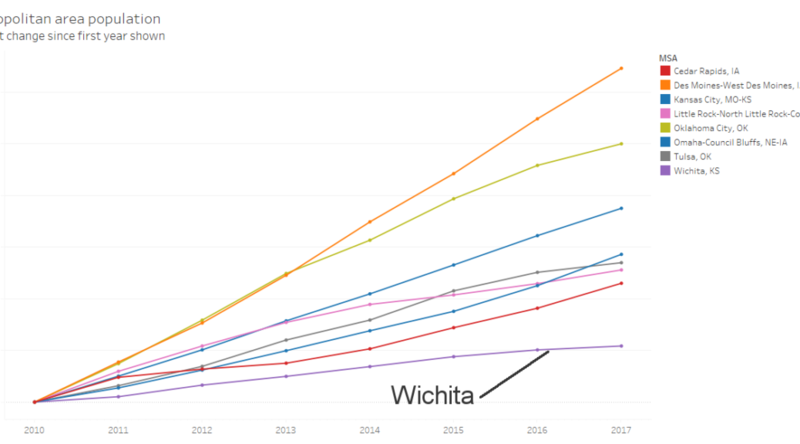 Because if the tax would not be good for Wichita, then we have to wonder: Why did the Wichita City Council — including Pete Meitzner and James Clendenin — decide that the people of Wichita should vote on a sales tax? Was it a whim? A flight of fancy? Just a poll to gauge public opinion, without binding meaning? Anyone can conduct a poll of public opinion. But when the Wichita city council places a measure on the ballot asking whether there should be a sales tax, the results have meaning. The results are binding. There will be a new tax, if a majority of voters agree. Say, what should we ask the city council to let us vote on this November? 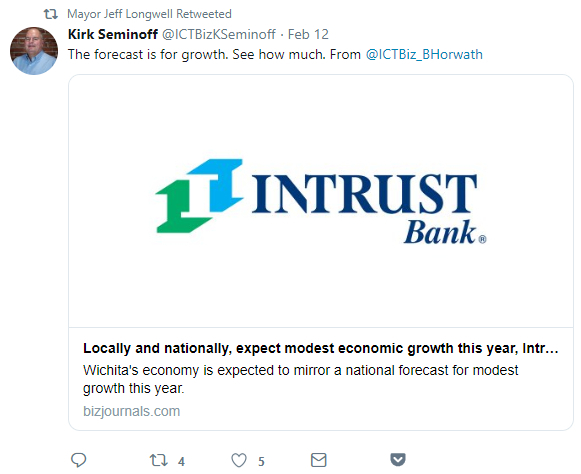 Lily Tomlin once said “No matter how cynical you become, it’s never enough to keep up.” Here we have two Wichita city council members illustrating and reinforcing the truth of Tomlin’s observation. A new law in Kansas may provide opportunities for better enforcement of the Kansas Open Records Act. The good part of this law is that it provides additional enforcement options when citizens feel that government agencies are not complying with the Kansas Open Records Law. Before this law, citizens and news organizations had — effectively — two paths for seeking enforcement of KORA. One is private legal action at their own expense. The other is asking the local district attorney for an opinion. Not all aspects of this bill are positive, as it also confirms many exceptions to the records act and adds to them. It also adds to the authority of the Attorney General, as have other bills this year. The City of Wichita has been obstinate in its insistence that the Kansas Open Records Act does not require it to fulfill certain requests for records of spending by its subordinate tax-funded agencies. The city believes that certain exceptions apply and allow the city to keep secret records of the spending of tax funds. The city may be correct in its interpretation of this law. But the law — even if the city’s interpretation is correct — does not prohibit the city from releasing the records. The city could release the records, if it wanted to. Fulfilling the legitimate records requests made by myself and others would go a long way towards keeping promises the city and its officials make, even recent promises. Following, from 2012, discussion of problems with the City of Wichita and open government. 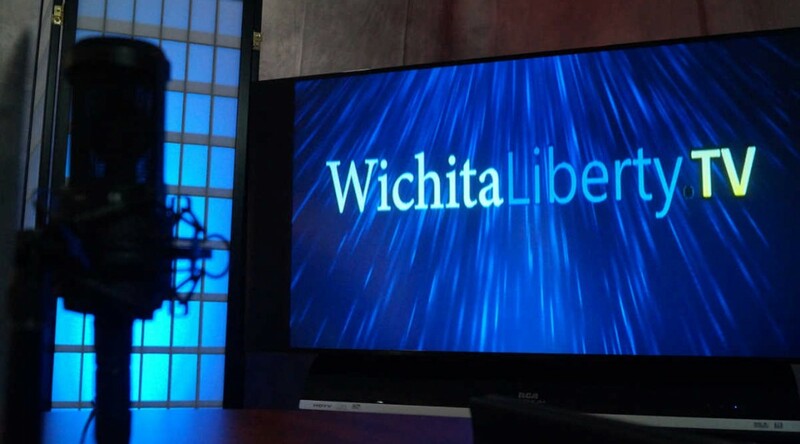 In this episode of WichitaLiberty.TV: The Kansas Legislature appears ready to raise taxes instead of reforming spending. 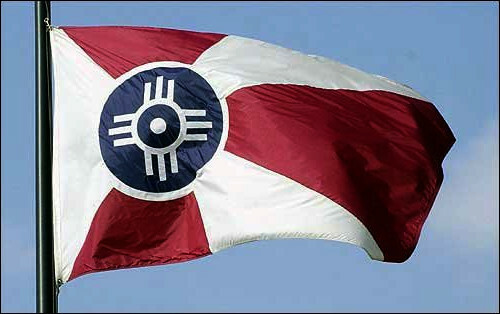 Wichita voters have used initiative and referendum, but voters can’t use it at the state level. A look at a new book “By the People: Rebuilding Liberty Without Permission.” View below, or click here to view at YouTube. Episode 83, broadcast May 3, 2015. Citizens in Wichita have been busy exercising their rights of initiative and referendum at the municipal level. The Kansas Legislature should grant the same rights to citizens at the state level. What recourse do citizens have when elected officials are not responsive? Initiative and referendum are two possibilities. Citizens in Wichita have exercised these rights, but Kansans are not able to do this at the state level. Referendum is when citizens petition to overturn an act passed by a governing body. 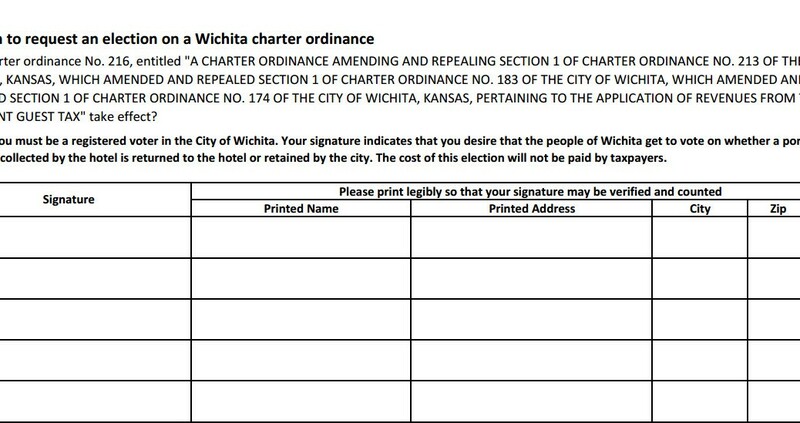 An example is the 2012 repeal of a charter ordinance passed by the Wichita city council. So at the municipal level in Kansas, citizens have the right of initiative, although in practice the right is limited. The right of referendum is more narrowly limited. But at the state level, there is no possibility for citizens to exercise initiative or referendum. The law simply does not allow for this. Initiative and referendum allow citizens to vote on specific laws or policies. This is contrasted with elections for office, where voters must choose candidate A or candidate B. Voters have to take the entire package of positions associated with a candidate. It isn’t possible to select some positions from candidate A, and others from candidate B. So when a candidate wins an election, can we say why? Which of the candidate’s positions did voters like, and which did voters not like? Results of regular elections rarely provide a clear answer. Initiative and referendum, however, let citizens vote on a specific law or proposal. There is little doubt as to the will of the voters. There’s a difference between voting for politicians and voting for policies. When given a chance, Wichitans have often voted different from what the council wanted. An example is the 2012 overturn of a charter ordinance the council passed. Another is the failure of the sales tax in November 2014. That was on the ballot not because of citizen initiative, but it is an example of voting directly for an issue rather than a candidate. Citizens rejected the sales tax by a wide margin, contrary to the wishes of the city council, city hall bureaucrats, and the rest of Wichita’s political class. It’s different voting for policies than politicians. For one thing, the laws passed by initiative don’t change, at least for some period of time. But politicians and their campaign promises have a short shelf life, and are easily discarded or modified to fit the current situation. A criticism often leveled against initiative and referendum is that ballots will be crowded with questions submitted by citizens. But as anyone who has been involved in a petitioning effort knows, filing a successful petition is not a simple matter. The first petition effort to relax Wichita marijuana laws failed, with the election commissioner ruling that an insufficient number of valid signatures were submitted. (Generally, petition signers must meet certain requirements such as being a registered voter and living within a certain jurisdiction.) Now the Kansas Attorney General contends that the second petition by the same group is defective because it lacks the proper legal language. It is common for the validity of petitions to be contested, either by government or by special interest groups that believe they will be adversely affected. It will take an amendment to the constitution for the people of Kansas to have initiative and referendum rights at the state level. That requires passage in both chambers of the legislature by a two-thirds margin, and then passage by a majority of voters. Although the governor does not play a direct role in constitutional amendments — as they do not require the governor’s signature — a governor can still have a role. In 1991 Joan Finney supported initiative and referendum. An amendment passed the Kansas Senate, but did not advance through the House of Representatives. But initiative and referendum are popular with voters. In 2013 Gallup polled voters regarding petitioning at the national level. 68 percent favored this, while 23 percent opposed. One of the few issues that poll higher than this is term limits for office holders. By the way, do you know what citizens in states often do after gaining the right of initiative? Impose term limits on their legislatures. Lawmakers don’t want you to do that. In 2011, Wichitans petitioned to overturn a charter ordinance passed by the city council. In February 2012 the ordinance was overturned by a vote of 16,454 to 10,268 (62 percent to 38 percent). This was a special election with only question on the ballot. In 2012 a group petitioned to add fluoride to Wichita water. The measure appeared on the November 2012 general election ballot, and voters said no by a vote of 76,906 to 52,293, or 60 percent to 40 percent. In 2015 a group petitioned to reduce the penalties for possession of small amount of marijuana. The measure appeared on the April 2015 city general election ballot, where Wichita voters approved the proposed law 20,327 to 17,183 (54 percent to 46 percent).